Both local teams were struggling as of late, the Knicks losers of 4 consecutive games and the Nets lost 6 consecutive games before tonight’s action. 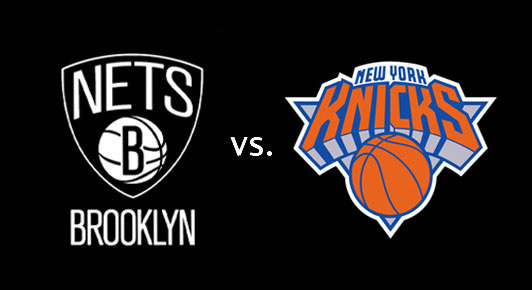 Both teams were without their starting point guards, Derrick Rose was out for the Knicks and Jeremy Lin for the Nets. They had a combined record of 31-68. We know the narrative for the Knicks, all the drama with Melo and his status with this team before the trade deadline however he has been playing great basketball as of late. The Nets have just had a disastrous start to the season however they remain competitive which is a good sign moving forward. Let’s get to the game; the Nets had a great defensive first quarter as they held the guys from Manhattan to just 15 points. Roles reversed in the second quarter however, the Knicks held the Nets to 18-points but still trailed going in the half. Kristaps Porzingis missed the Knicks previous game against the Wizards due to sickness. He was clearly not completely over it however he gave it a go and was vital to this Knicks win. He finished with 19-points and 12 rebounds on the night. Most of his damage came in the second half as the Knicks mounted several rallies to get this victory. Brook Lopez had a rough game for the home team; he shot 4-11 from the field and scored 10-points while grabbing 8 rebounds. The Nets continued their poor second half play; they just could not get baskets or stops in pivotal moments of the game down the stretch. Sasha Vujacic came off the bench and provided a great spark for the Knicks he had 12-points and showed his veteran leadership especially when the Knicks were making their comebacks. Willy Hernangomez had 15-points against the Wizards and tonight he had another great game. Vujacic and Hernangomez were the catalysts for the Knicks, they were relentless, and they made huge defensive plays and executed on offense when it counted and when the team needed them. Hernangomez poured in 16-points and grabbed a career high 16 rebounds for the Knicks. What about Carmelo Anthony? Well he had a game to forget he shot 6-22 from the field and did not play in the 4th quarter as the Knicks rallied to win the game. Coach Hornacek elected to go with the guys that were playing with energy and passion. He went with his bench and kept them in the game as they did everything to get this important win to stop the losing streak. As mentioned before Melo had been playing well as of late so he was due for an off night however he stood near the bench almost the entire 4th quarter to cheer on his teammates that usually don’t get big minutes. Brandon Jennings, Porzingis, Vujacic, Hernangomez and Justin Holiday reeled in the Nets and pulled out the victory. For the Nets Caris LeVert had another good game however I’m sure he would have preferred a win. Rondae Hollis-Jefferson led the Nets with 16-points as he got in the lane numerous times especially on his strong hand. For some reason the Knicks kept allowing him to drive left. Bogdanovic added 15-points and Trevor Booker added 12-points. The Nets are now a dismal 9-40 on the season. They host the Pacers at Barclays on Friday while the Knicks improved to 22-29 and will host the Cavs on Saturday night at the Garden.